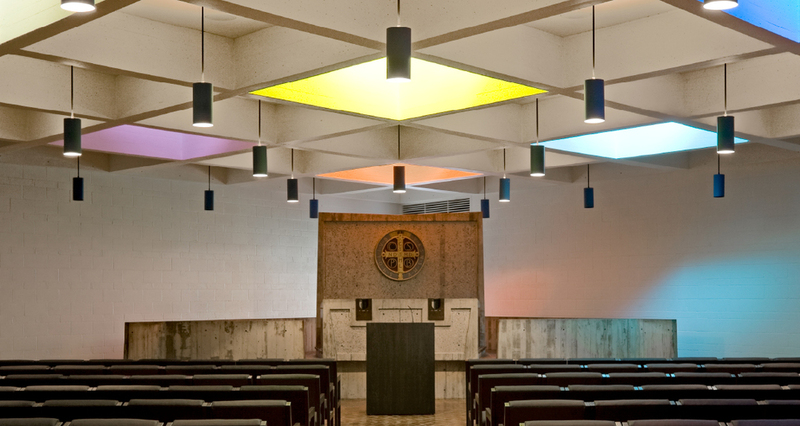 Marcel Breuer’s Abbey Church complex included an Upper and Lower Church and monastic Chapter House. 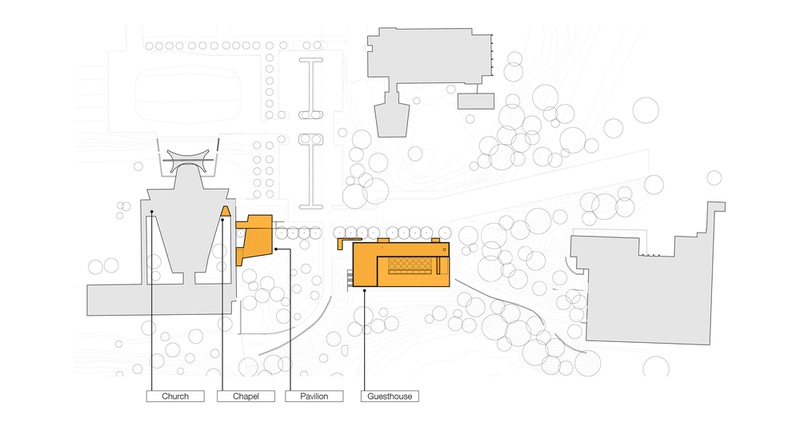 The new 9,200 square foot project includes the renovation of the existing Chapter House, a new two-level lobby addition with a gallery space. The addition creates a new accessible entry and connection to the Upper Church. 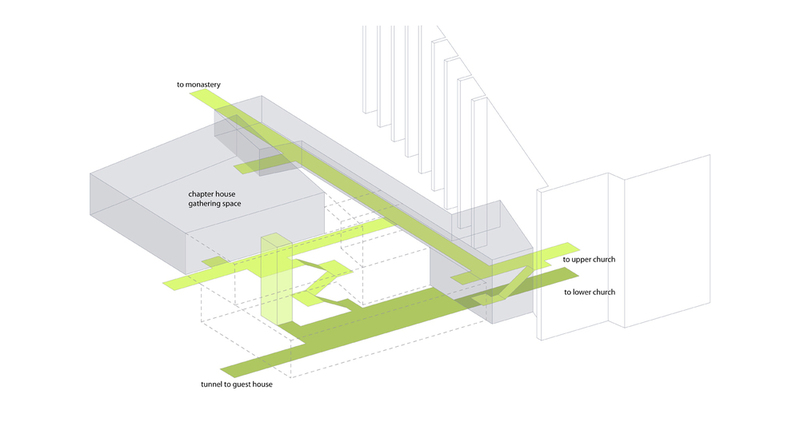 The new stair uses delicate lattice-like steel railings to bring light to the lower level of the addition. 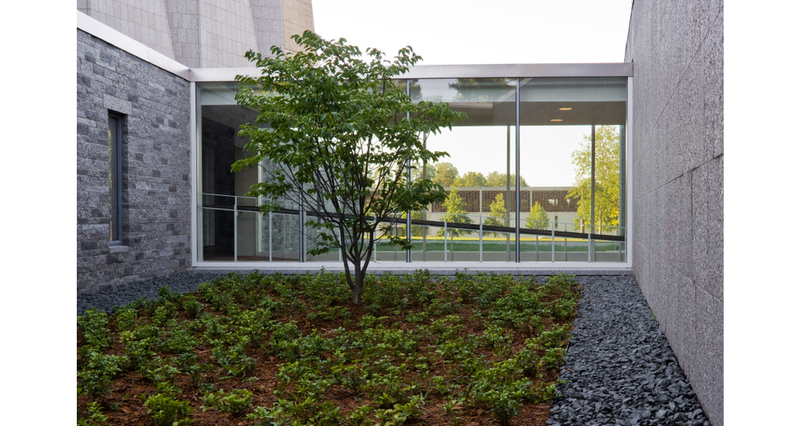 The project uses material and details to connect new and old – respectfully expanding on Breuer’s work.